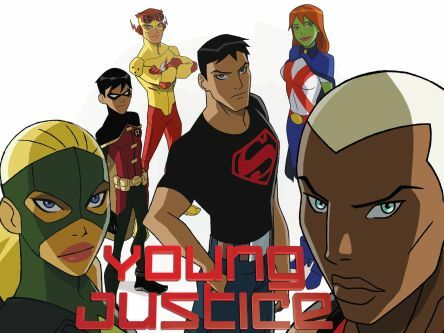 After the hilarious, but often too funny for its own good sidekick stories from Teen Titans, DCNation on Cartoon Network brought Young Justice. It had an all-star cast and superhero line-up. Season 1 told the story of how Robin (Batman’s sidekick), Kid Flash (Flash’s sidekick), and Aqualad (Aquaman’s sidekick, but a totally new awesome take on the character), worked together to free Con-El, a half-human clone of Superman free from The Light, an alliance of everybody’s favorite supervillains. As the season progressed, they received new members like Artemis (Green Arrow’s sidekick) and Ms. Martian (Martian Manhunter’s niece). With the help of the mentors in the Justice League, and Aqualad as their leader, they became a powerful force to reckon with and even tackled some very deadly foes. Season 2, subtitled Invasion, focused on the team, now almost quadrupled in size, and being lead by Nightwing (Robin grown up) fighting an invasion that is being led by an alien force called the REACH, who also happen to be allied with The Light. Most of the Justice League are standing trial for a crime they committed while under mind control, so it’s up to the younger generation, including the new heroes Blue Beetle and Impulse (Flash’s nephew from the future) to defeat the REACH. This show was probably one of the best-animated adaptations for a comic book series I’ve seen in a long time. The story lines are great, the character versatility in season 2 is fantastic, and the animation is really awesome. Sadly, Cartoon Network is canceling the series despite great viewership to make way for Teen Titans Go! It’s a sequel series to the previously mentioned series at the top of this article that’ll focus on the shenanigans of the Titans in between saving the world. Bah! I honestly hope a Young Justice season 3 will come once they realize how awesome it was. What do you think? Let me know in the comments below and tell me your thoughts on the show. While you are at it, check out my movie review of The Dark Knight. Don’t forget to like, share, and subscribe for more posts like this one.